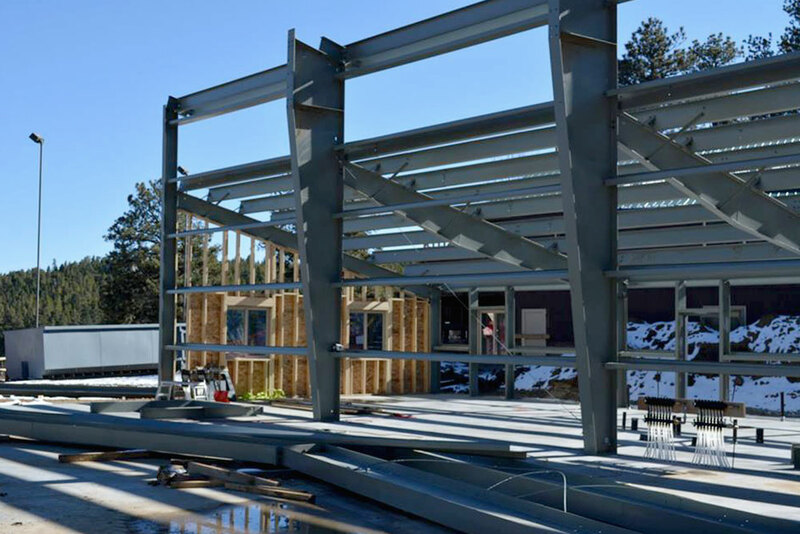 Sunward Steel Buildings manufactured and supplied this prefabricated metal building on behalf of a client in Bailey, Colorado, in December of 2015. 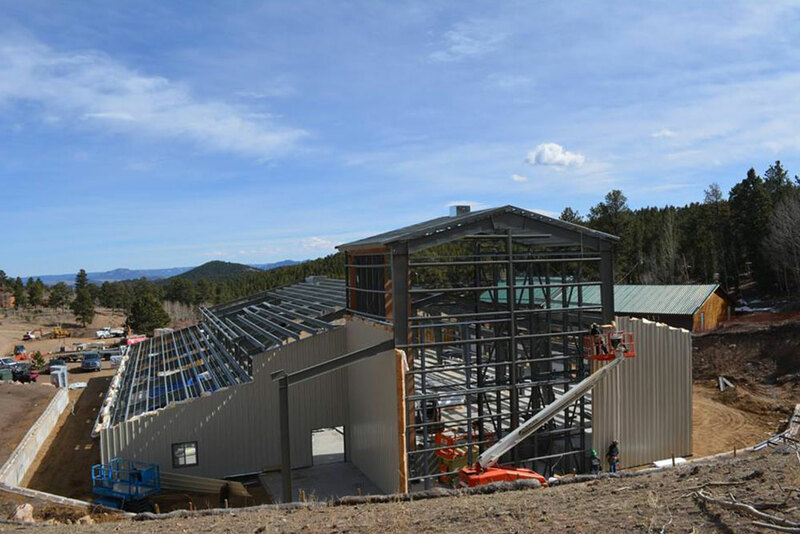 Currently, the modern, multipurpose metal building serves as a center of activity at the IdRaHaJe Christian Camp and Retreat Center, an outdoor-focused ministry and camp situated within the foothills of the Rocky Mountains. 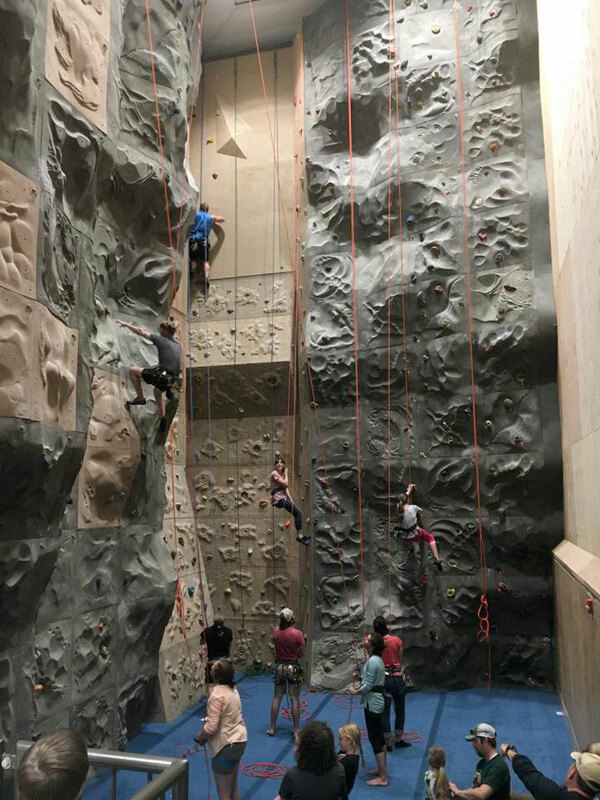 It boasts a full commercial kitchen, a gymnasium, a sanctuary and a 48-foot enclosed, professional rock-climbing wall, serving as a year-round resource and recreational opportunity for campers and visitors. 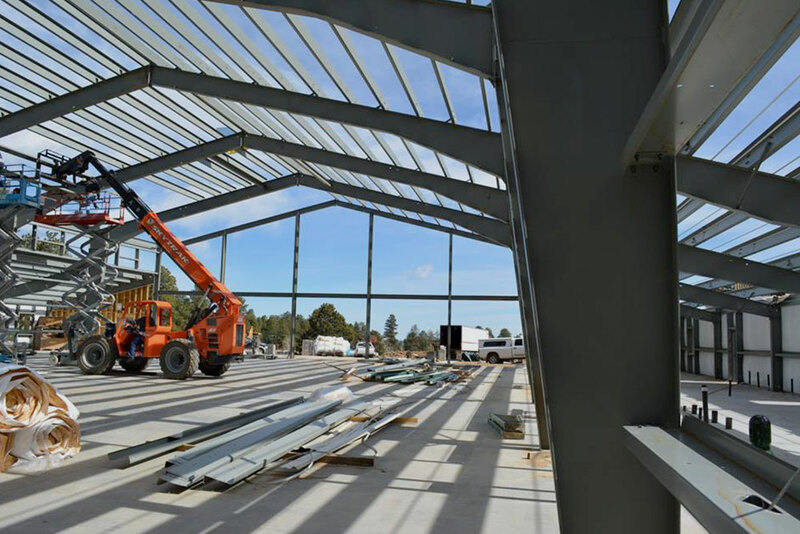 The pre-engineered steel building features a broad, clear-span design that gives campers and facility staff plenty of room to worship and play, and it stands 74’x125’x22’ in size once fully erect. 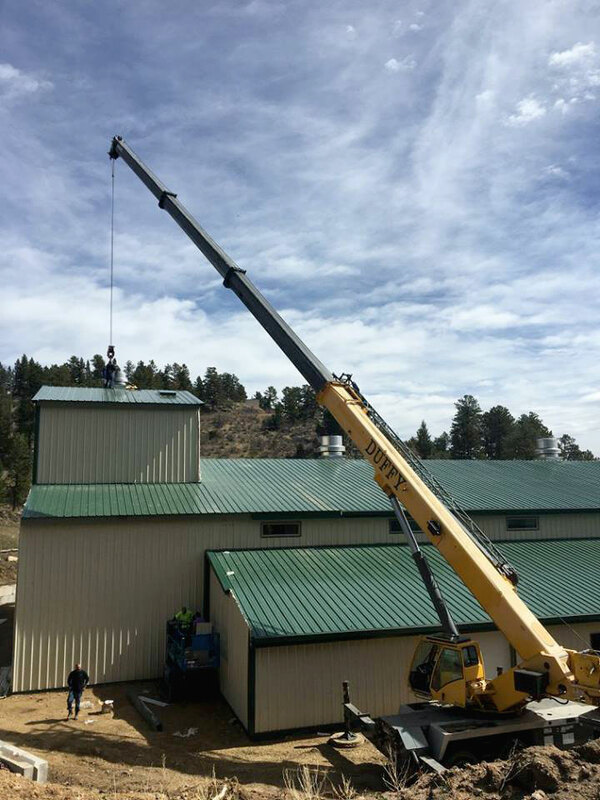 Rugged, durable and designed to holds its own in Bailey’s mountainous, unpredictable climate, the multipurpose steel building features a bold, Dark Green exterior and a corrosion-resistant metal roof with a 3:12 pitch. 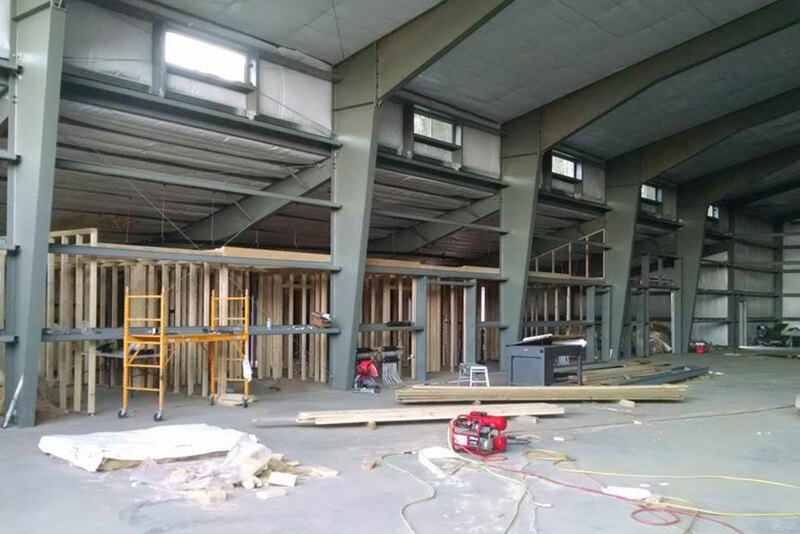 It features (38) framed openings ranging in terms of size and purpose, among them (15) 3’4”x7’2” walk door openings, (2) 6’4”x7’2” walk door openings, (2) 10’x8’ overhead door openings, (12) 6’x2’ windows, (5) 4’x4’ windows and (2) 4’x6’ windows. 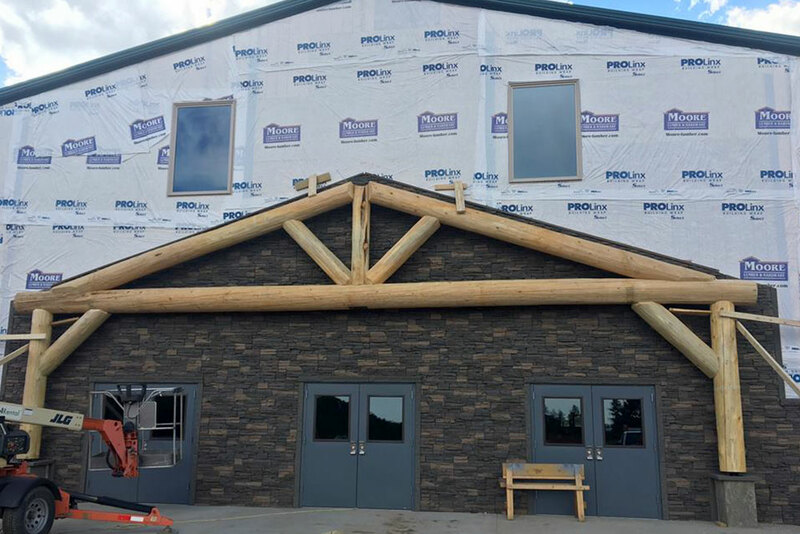 Additional accommodations included with respect for the weather and climate characteristics of the region include gutters and downspouts, which divert water away from the building and its foundation, a wind load of 142-mph and a ground snow load of 71 psf. 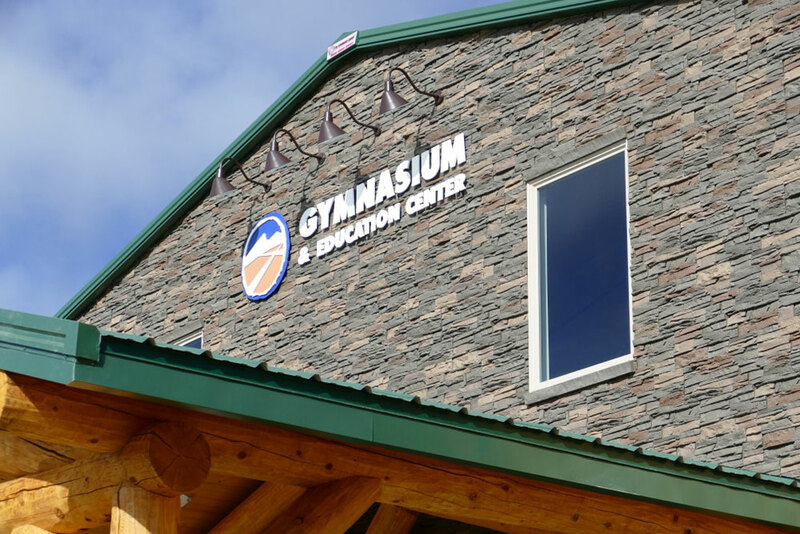 In addition to annual summer camps known as Narrow Way Expeditions, the IdRaHaJe Christian Camp and Retreat Center hosts a number of year-round events, including its Mountain Lab School, which caters to more than 50 schools and about 2,600 students each year on the camp’s 262-acre property. 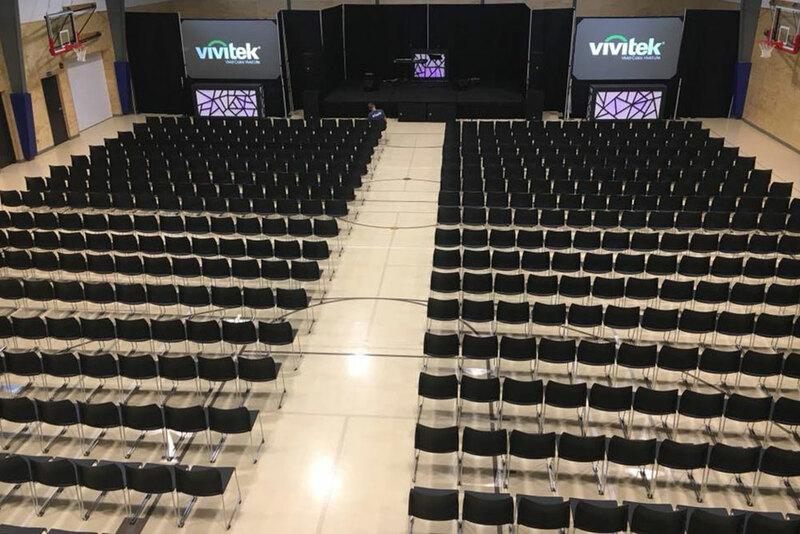 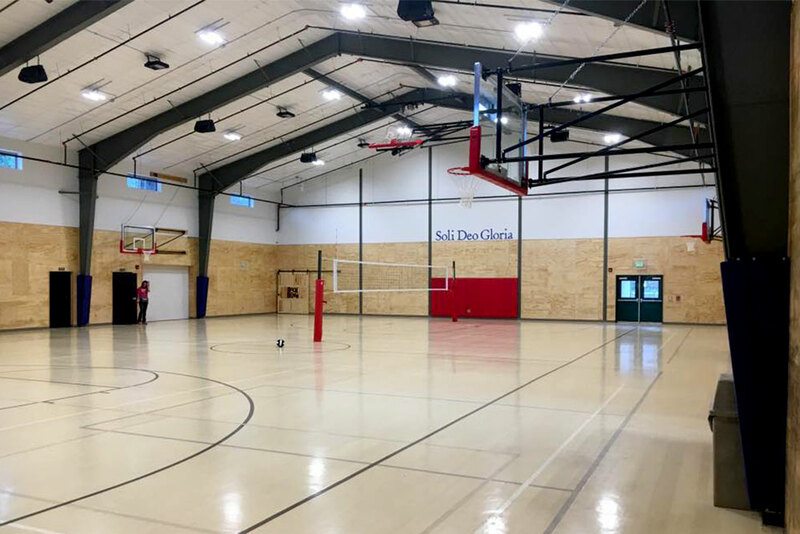 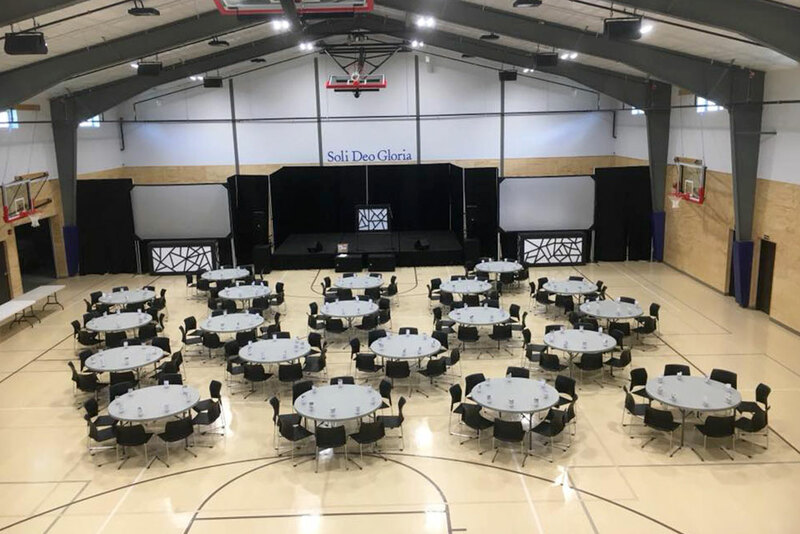 In addition to giving campers and event attendees a dry, indoor place to meet and recreate, the metal gymnasium, sanctuary and meeting center helps facility staff better accommodate large groups and continue its mission of spreading the Gospel of Jesus Christ far beyond the camp’s stunning, scenic surroundings. 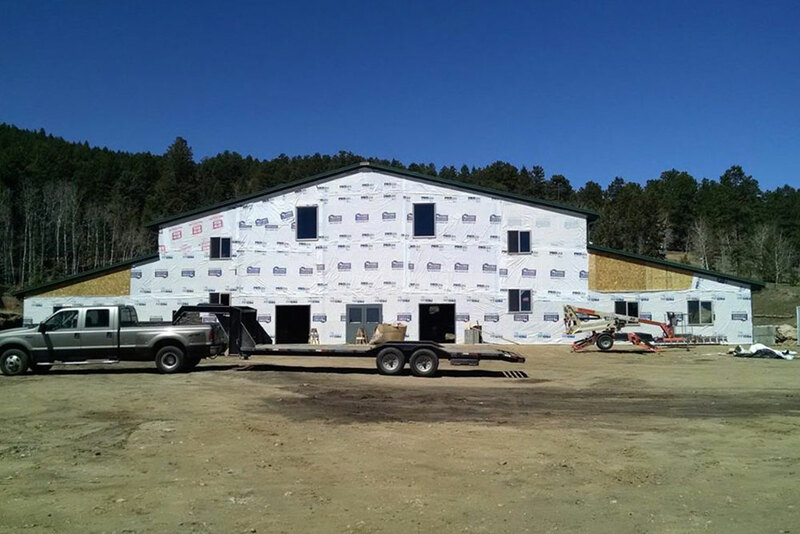 A small mountain community set within central Colorado’s Park County, Bailey sits in the foothills of the Front Range of the Rocky Mountains. 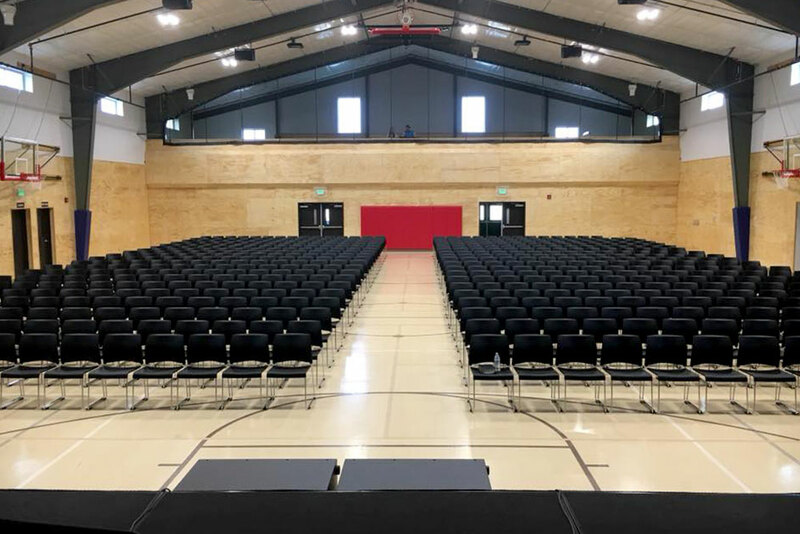 Situated along the east side of Kenosha Pass, an area widely recognized for its fall foliage, Bailey sits about 30 miles southwest of Denver and about 23 miles southwest of Evergreen. 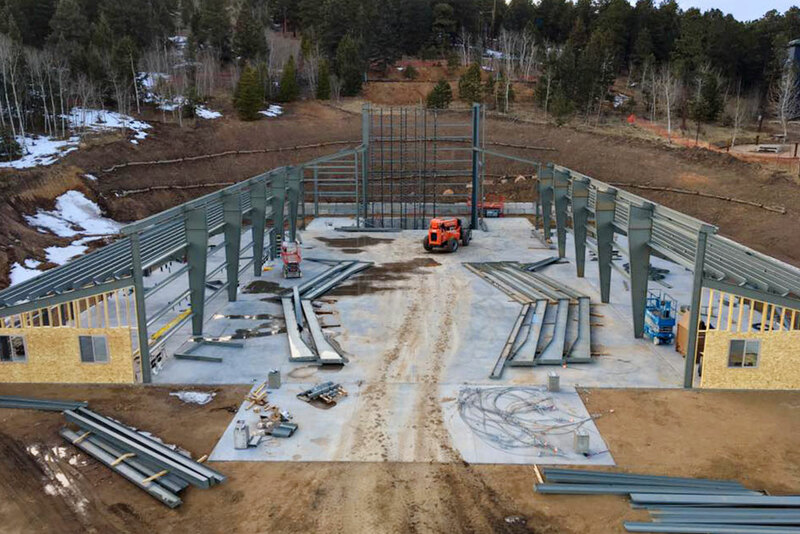 Considering purchasing a pre-engineered metal building for recreational or other use in Colorado or another part of the country? 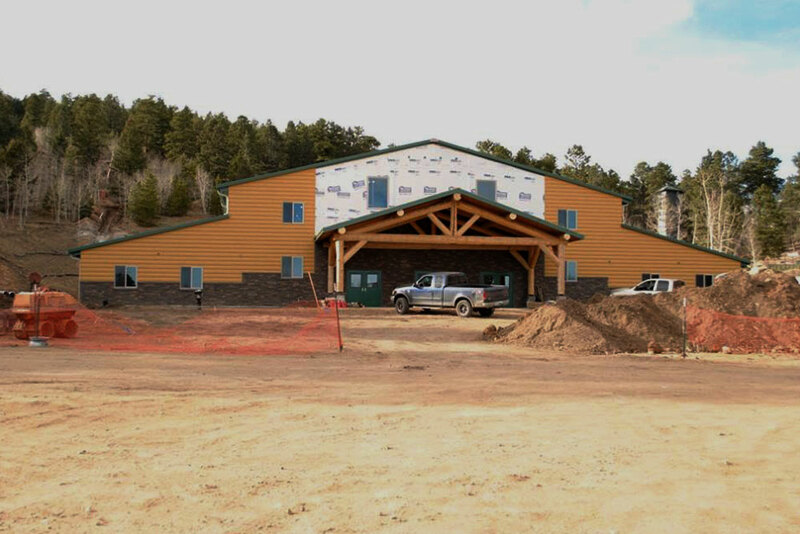 Click here for a price quote.